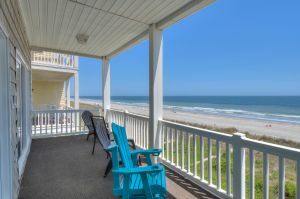 Make the absolute most of your North Myrtle Beach vacation with reservations for Seaside Days A, a luxurious vacation duplex rental. 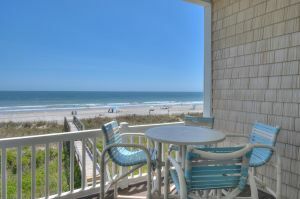 Nestled on the oceanfront in the Windy Hill section of North Myrtle Beach, SC, this beach house is roomy. 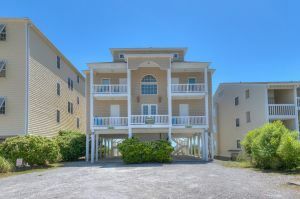 There is more than 3,000 square feet of living space in this magnificent rental. 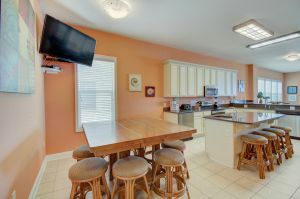 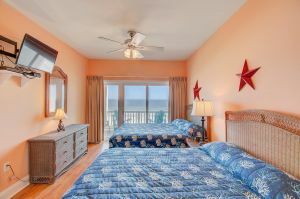 Seaside Days A has four bedrooms and five baths. 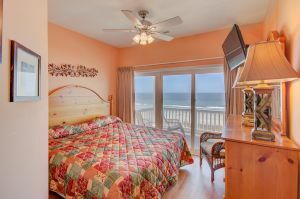 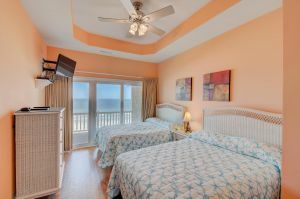 It sleeps 20 people quite nicely and many of the rooms have oceanfront views. 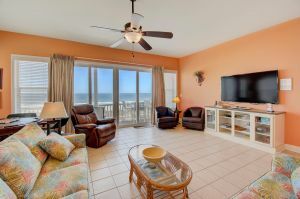 The luxurious touches throughout this beach house in North Myrtle Beach, SC include an elevator, granite countertops, tile floors, numerous oceanfront balconies and a game room. 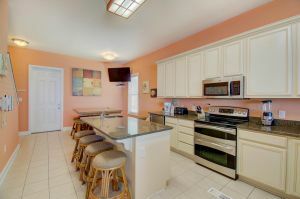 Stainless steel appliances adorn the spacious kitchen. 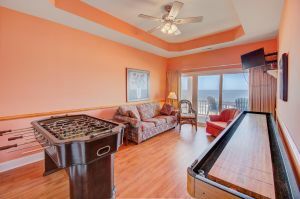 Foosball and shuffleboard are set up in the game room, which also has access to the oceanfront balcony. 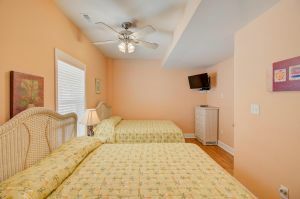 Pet under 15 pounds welcome at Seaside Days A, so you can bring your furry family member on vacation with you. 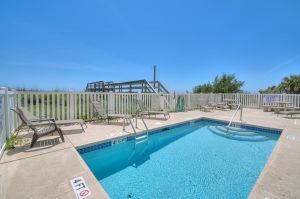 This North Myrtle Beach rental has a swimming pool that is shared with the other half of this duplex. 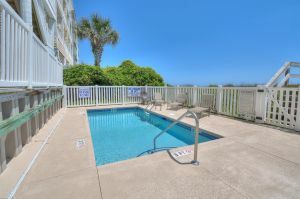 Imagine an oceanfront pool deck that is available to only two units! 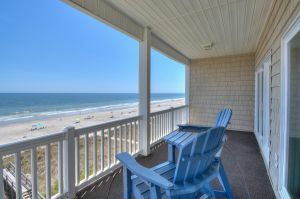 Seaside Days is a three-story duplex with panoramic views of the Atlantic Ocean. 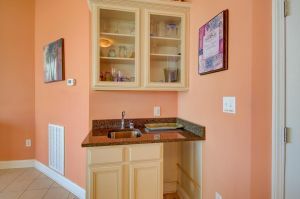 Televisions, DVD players, and high-speed Internet access are all found inside this North Myrtle Beach rental. 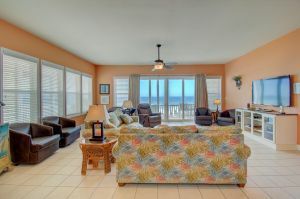 Shuffleboard, grills, and a path to the beach are also here. 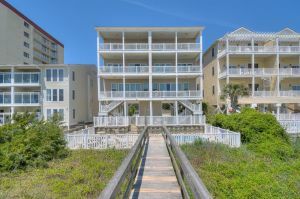 This multi-level beach duplex in North Myrtle Beach, SC has an elevator so getting from the ground level to the top level and all floors in between is easy for all ages! 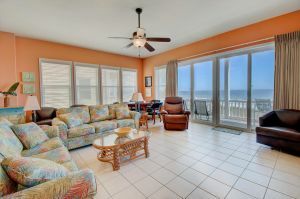 Seaside Days is an excellent headquarters for a vacation. 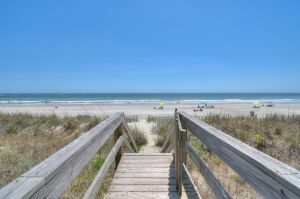 Whether it is a getaway for families with kids or a vacation for your golf foursome, Seaside Days A puts you close to whatever attractions and amusements interest you most in North Myrtle Beach -- shopping, dining, live entertainment theatres, nightlife, fishing charters, water sports and more!